The mightiest team of superheroes are back! Preview MIGHTY CRUSADERS #1! THE SHIELD! JAGUAR! THE COMET! STEEL STERLING! FIREFLY! DARKLING! On December 6th, the mightiest team of superheroes are back! 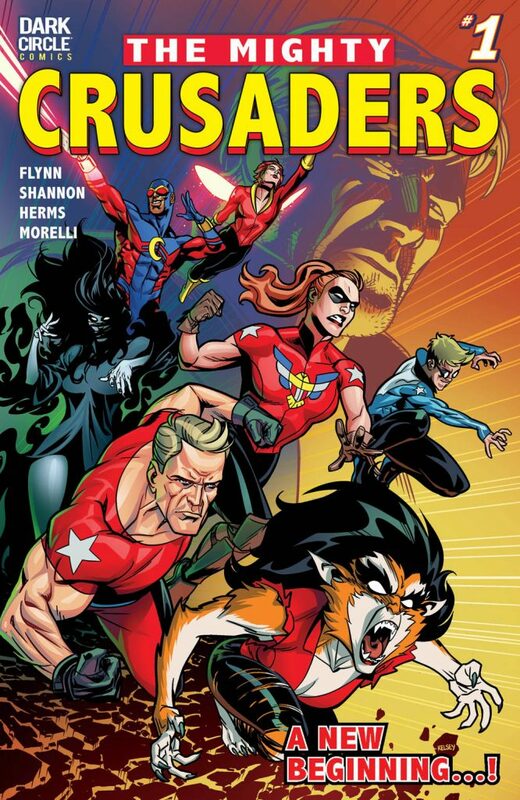 Join writer Ian Flynn (JUGHEAD), artist Kelsey Shannon (JOSIE AND THE PUSSYCATS), colorist Matt Herms and letterer Jack Morelli for high-octane super-hero action with the MIGHTY CRUSADERS #1! A throw-down with a prehistoric terror in the heart of Washington D.C. sets the stage for the dramatic return of a wayward hero. Meanwhile, half a world away, a sinister plan begins to awaken an ancient evil! Pre-order your copy of MIGHTY CRUSADERS #1 today from your local comic book shop! Get issues of MIGHTY CRUSADERS delivered straight to your mailbox with a subscription from the Archie Comics Shop!